CRC Speedshow is New Zealand's biggest, most diverse and exciting automotive event where fans can fuel their passion for cars, bikes and motor sports. The ninth edition of CRC Speedshow took place over the weekend of 18 and 19 July 2015. It was a spectacular celebration of the finest, fastest and coolest new and classic cars and motorcycles, as well as racecars and bikes, motor sport celebrities, wild hot rods and other custom creations from around New Zealand and the world. Each show features a trademark line-up of exhibitors from New Zealand's automotive sector with performance parts, expert services, motorsport tours and merchandise sure to delight petrol heads of all persuasions. 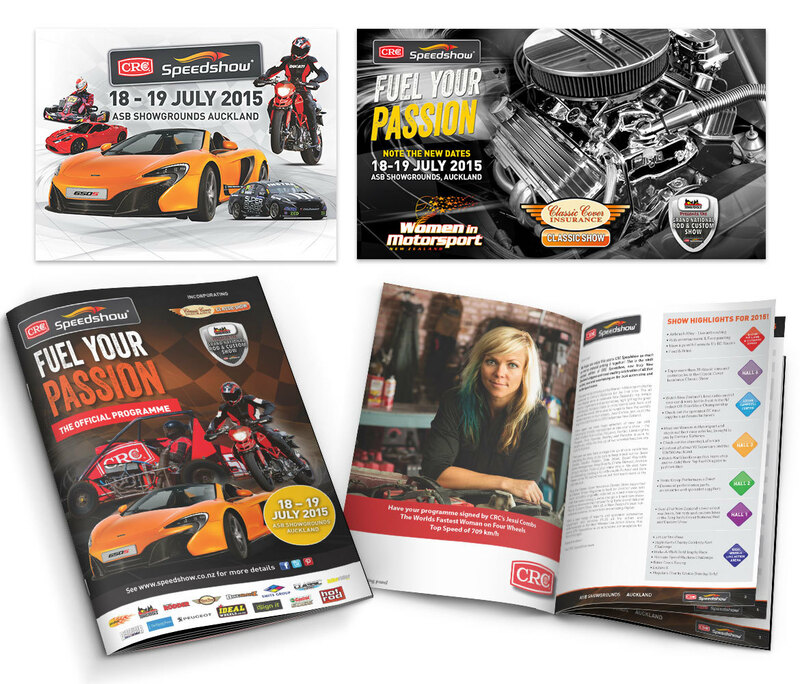 We jumped at the chance to work with CRC Speedshow, we looked after a multitude of online adverts, website takeovers and other digital media, as well as a large amount of print media, this included print adverts, flyers, display boards, awards, certificates and the 2015 CRC Speedshow Programme.